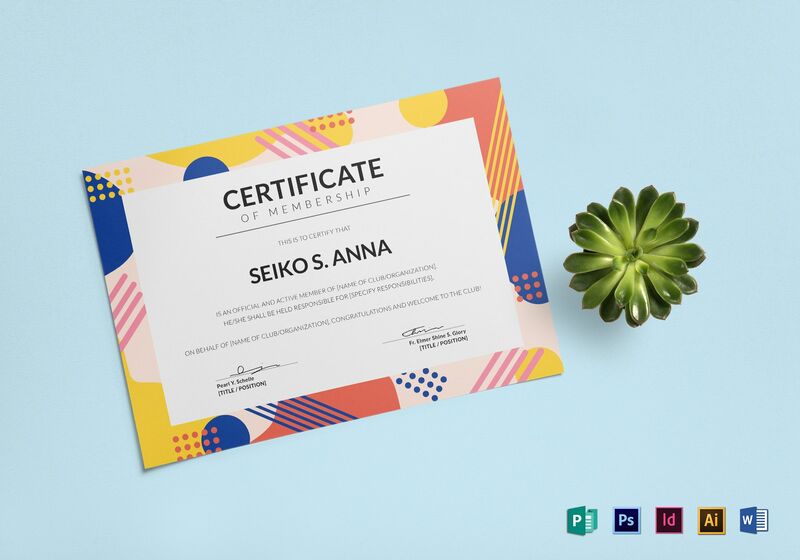 Whether it’s an exclusive club or a loyalty membership program, this colorful but professional certificate is useful for business purposes. 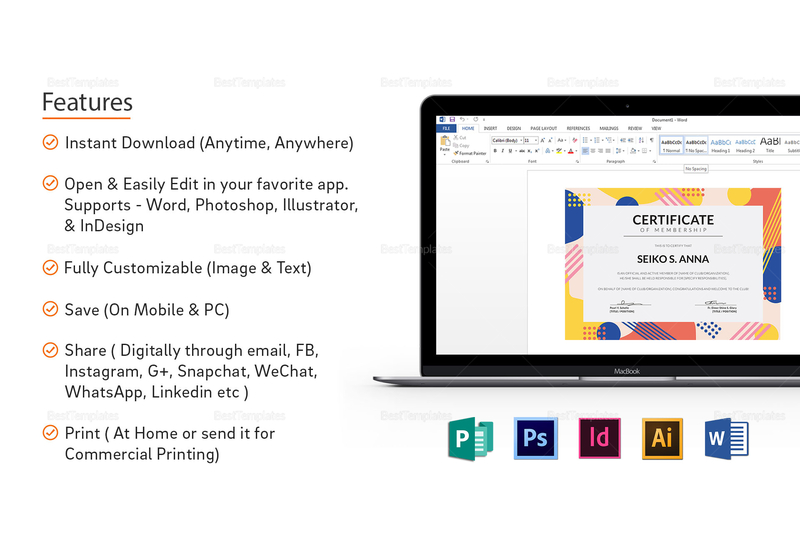 Simply download the file in any of its available file formats and edit accordingly. 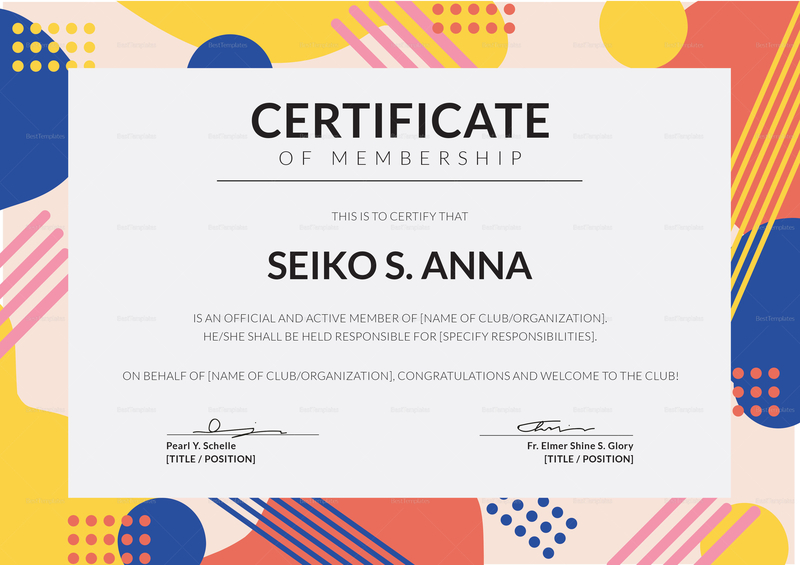 Print or share digitally to clients as a way to formally acknowledge their membership to your business.